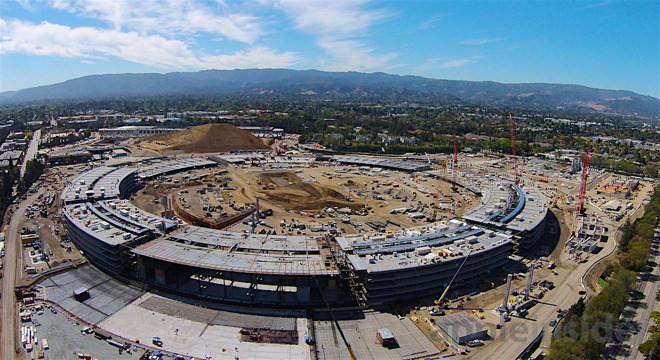 Below, an aerial video shows the current state of Apple's Campus 2 Spaceship Ring, compared to the excavated site one year ago and the initial segment completed six months ago. 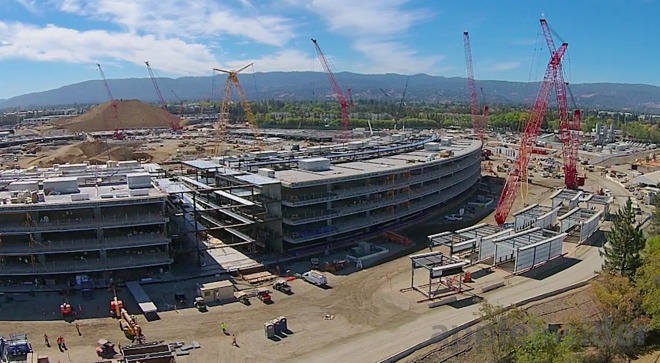 Rapid progress on the iconic Campus 2 complex has come via an innovative structural design that stacks interlocking concrete void slabs, which "serve as both the ceiling of one floor and support for the raised surface of the floor above," Apple has stated. The Ring's nine building segments of four floors are joined by open hallways that radiate from the center circle, as seen below. 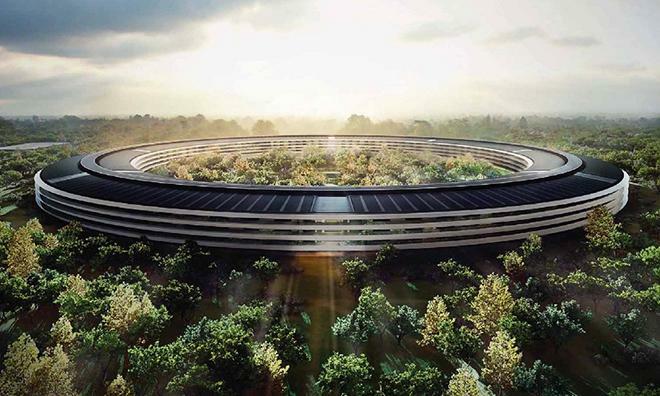 Granted final approval just two years ago, Apple's Campus 2 project is rapidly moving toward its occupancy goal of 2016.